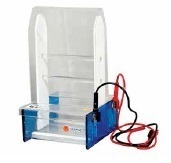 Our product range includes a wide range of ace series maxi horizontal immersed gel electrophoresis unit, standard - maxi horizontal immersed gel electrophoresis unit, standard - mini horizontal immersed gel electrophoresis unit, g- run mini horizontal immersed gel electrophoresis unit, g - run midi horizontal immersed gel electrophoresis unit and standard - midi horizontal immersed gel electrophoresis unit. Gel Caster : 1 No. 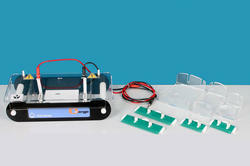 The G-Run Mini is the smallest unit in the range, designed for routine horizontal mini gel electrophoresis. 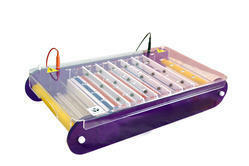 Geltray available 11x8cm with two slots and combs ranging from 8 and 12 samples. 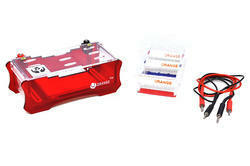 · Buffer Chamber with Safety Lid : 1 No. 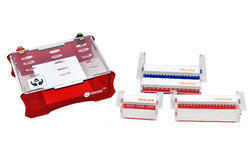 The G-Run Midi unit in the range, designed for low to medium numbers of samples.Gel tray options are available 11x8cm and 13x12cmwith two slots and combs ranging from 8, 12 and 18 samples. 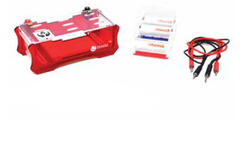 The 13cm total run length allows restriction fragment or other close MW sample bands to be easily separated and identified. Instruction Manual : 1 No.Warranty Card : 1 No. No.of Strips : 6 Nos. Paper Supporting Rod : 1 No. 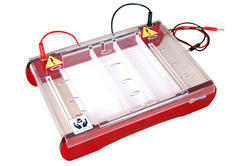 Looking for Horizontal Gel Electrophoresis equipments ?